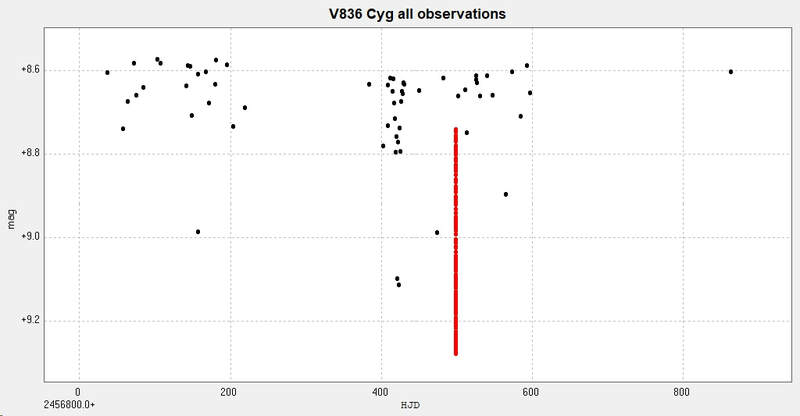 Light curve of EB/KE type eclipsing binary V836 Cygni showing primary minimum on 2nd October 2015. Observed from Somerby Observatory with the 2" Titan . 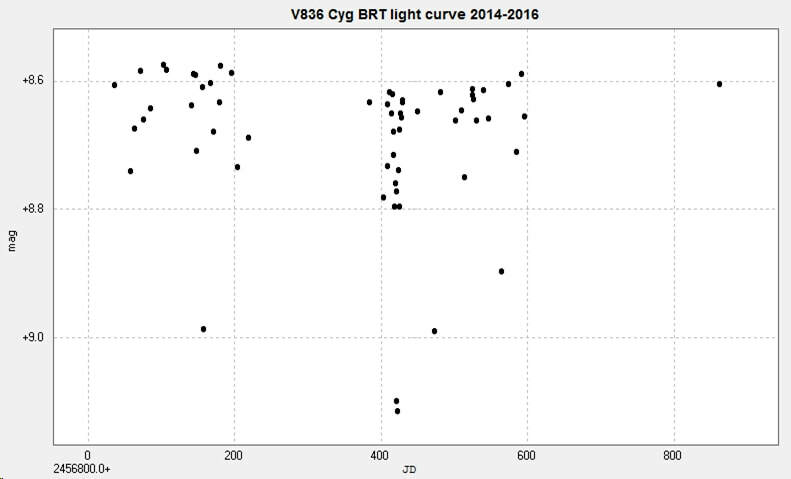 The following light curve and phase diagram have been constructed from photometry of 61 images taken with the Bradford Robotic Telescope Cluster Camera (BRT), through their 'green' filter, between 2016 June 28 and 2016 October 1. 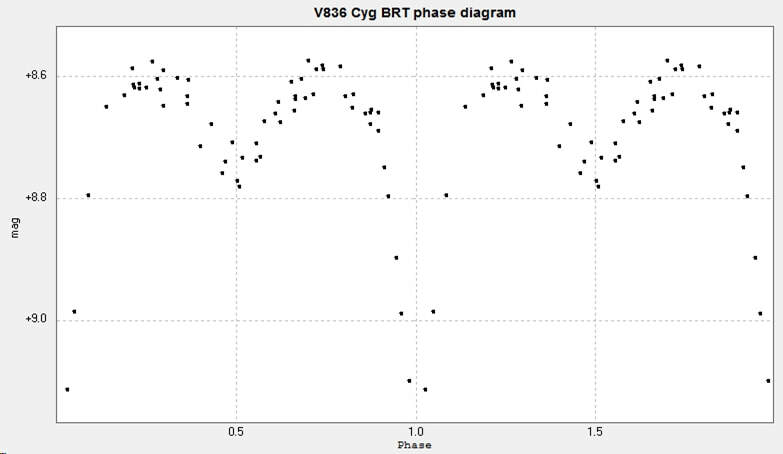 The phase diagram has been plotted with a period of 0.653414 d.
​The Somerby and BRT results have been combined in the following light curve and phase diagram. This phase diagram has been plotted with a period of 0.653409 d. The Somerby observations are in red, the BRT observations are in black. 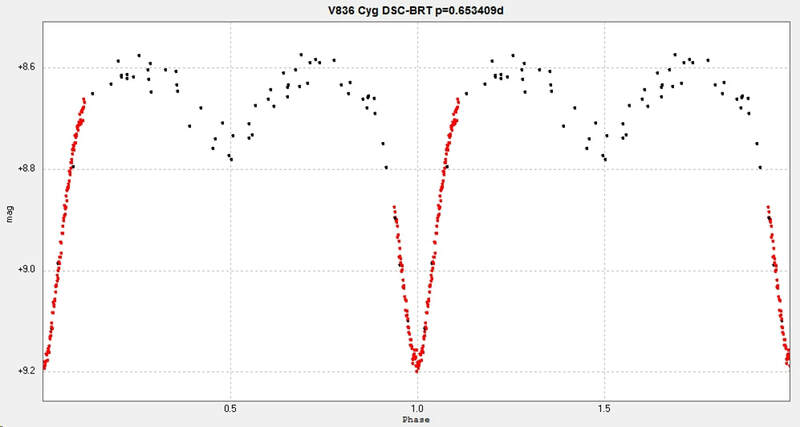 The catalogue value for the period is 0.6534122 d ref GCVS and AAVSO VSX.